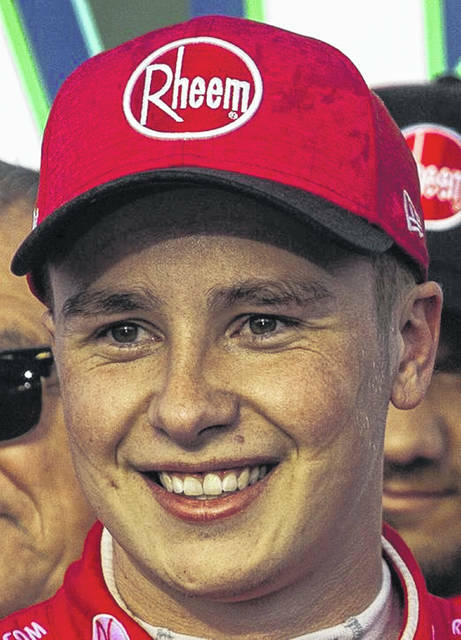 Christopher Bell heads through a turn on the way to winning Saturday’s NASCAR Xfinity Series race at New Hampshire Motor Speedway in Loudon, N.H.
LOUDON, N.H. — Christopher Bell has cracked the Cup supremacy in Xfinity. The 23-year-old Bell held off hard-charging 2012 Cup champion Brad Keselowski over the final 18 laps at New Hampshire Motor Speedway to win his second straight Xfinity Series race. Bell pulled off the towering achievement of winning two straight Xfinity races against former champs from NASCAR’s top-tier series who moonlight on Saturdays. Bell topped 2015 Cup champion Kyle Busch to win last week’s race at Kentucky Speedway and he followed up Saturday in the No. 20 Toyota by keeping Keselowski at bay down the stretch for his third win this season. “You hope to race those guys at one point, so I’m thankful that I get the opportunity here in the Xfinity Series to race with them and proud that I’m able to compete with them, let alone beat them,” Bell said. Keselowski had won the pole Saturday but was dropped to the rear of the field because he was late to the mandatory drivers meeting. It proved to be nothing more than a mild inconvenience for Keselowski in the No. 22 Ford. He stormed past the second-tier regulars and had his fourth straight Xfinity win in sight. Bell, who drives for Joe Gibbs Racing, had the fresh tires that Keselowski needed and that was enough to ring in a victory lane celebration. Bell gave his checkered flag to a young fan in the stands. JGR fields cars for Busch and Bell, one reason it’s continued to have success in Xfinity. Ryan Preece, John Hunter Nemechek and Matt Tift completed the top five to complete a solid showing for the Xfinity regulars. Because Xfinity is supposed to be the series where the stars of NASCAR’s future are discovered. Instead, they spent this season looking up at Cup regulars Busch, Keselowski, Kevin Harvick, Kyle Larson, Joey Logano, Ryan Blaney and Austin Dillon as race winners. But Bell said he wanted them in Xfinity so he could race against the best drivers in NASCAR. Busch led more than 100 laps last week at Kentucky before he faded late and Bell took advantage for the win. At New Hampshire, Bell was aided by four fresh tires down the stretch that helped make the difference. Keselowski nipped at Bell’s bumper over the final three laps but could never reel him in for the decisive pass. Bell, the 2017 Truck Series champion, is certainly talented enough to find himself in a Cup ride the next few years. It’s just a matter of where he’ll fit in a series where top rides are scarce. Bell said he’s just getting started in Xfinity. 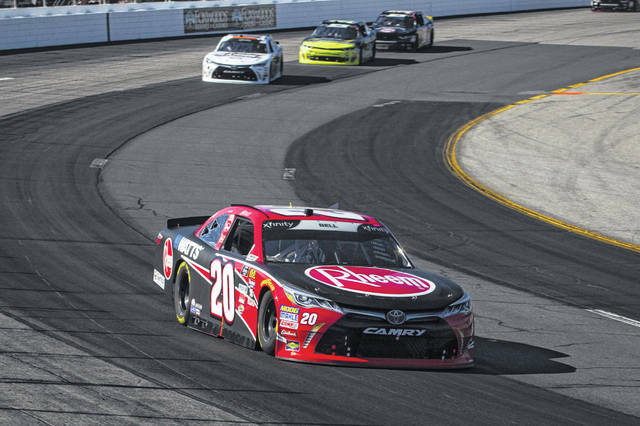 https://www.limaohio.com/wp-content/uploads/sites/54/2018/07/web1_07.22.18.xfinityrace.jpgChristopher Bell heads through a turn on the way to winning Saturday’s NASCAR Xfinity Series race at New Hampshire Motor Speedway in Loudon, N.H. Christopher Bell heads through a turn on the way to winning Saturday’s NASCAR Xfinity Series race at New Hampshire Motor Speedway in Loudon, N.H.
https://www.limaohio.com/wp-content/uploads/sites/54/2018/07/web1_07.22.18.bell_.jpgBell Christopher Bell heads through a turn on the way to winning Saturday’s NASCAR Xfinity Series race at New Hampshire Motor Speedway in Loudon, N.H.